Leadership has been identified as a key factor in supporting action on nutrition in countries experiencing a high burden of childhood undernutrition, but there have been very few systematic studies of what supports or constrains leadership in nutrition. 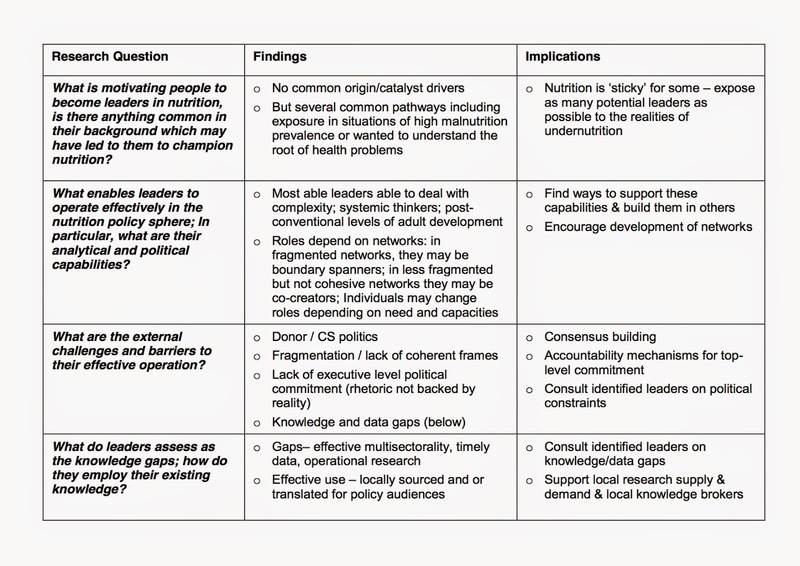 A new IDS Working Paper by Nicholas Nisbett (I'm one of 3 co-authors) was just published on what supports or constrains effective leadership in nutrition. It is based on a 4 country set of interviews under the Transform Nutrition Research programme. A summary of the 4 questions posed, the key findings and the implications are listed below. It is a study of individuals identified as influential within nutrition in Bangladesh, Ethiopia, Kenya and India (through a NetMap and follow up analysis) and it examines why particular individuals champion nutrition policy, and how they operate in the wider policy and political environments of their countries. Based on analysis of 89 interviews, the paper considers how individual (adult development) capacities, knowledge and motivations, and wider political economy considerations structure the ability of these leaders to think and act. 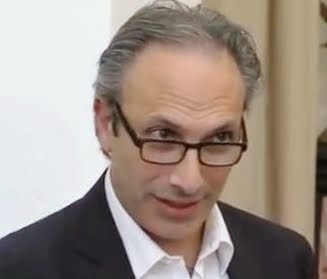 The paper argues that only by locating individuals within this wider political economy can we begin to appreciate the range of strategies and avenues for influence (or constraints to that influence) that individual leaders employ and face. We review the literature in this area and suggest a number of ways in which we may support, nurture and develop nutrition leadership in future. 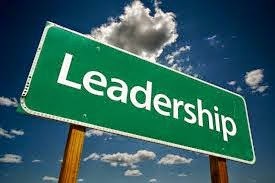 The bottom line is that leaders are important for reaching outside of the nutrition community to influence those with power, influence and resources. And while the fortuitous emergence of nutrition leaders is wonderful, we cannot wait for leaders to emerge randomly, we must nurture their emergence and development. More emphasis needs to be given to leadership development in nutrition--to help bridge sectors, disciplines and generations. Efforts to build leadership such as the UN’s REACH, the SUN movement and regional initiatives such as the African Nutrition Leadership Programme and Action Against Hunger’s support for Nutrition Champions in West Africa need to be supported and nurtured. Are the SDGs really like fairytales?